Is Belief in God Jewish? Believe it or not two professors of philosophy discuss this question online: Is Belief a Jewish Notion? is discussed at the NYTimes.comin a section they call Opinionator: THE STONE. Gary Gutting interviews Howie Wettstein who wrote a book, "The Significance of Religious Experience." The subtitle of this interview is, "Theoretical views about God may be less important than religious practice." Gutting starts off asking Wettstein, "You say you’re a naturalist and deny that there are any supernatural beings, yet you’re a practicing Jew and deny that you’re an atheist. What’s going on here? What’s a God that’s not a supernatural being?" The discussion hovers around the most basic and primitive notions of prayer, i.e.,the overarching meta-visualization of prayer is that the acts of recitation of prayer texts constitute a dialogue with God. I have said in my essays that this representation articulated by Sacks and many others before him is the general and foundational meta-visualization of all acts of prayer, the contextual background music in which I find the more detailed and specific visualizations that I discuss in my work. Gutting and Wettstein discuss this basic issue of prayer and speaking to God in the context of belief and practice. In short Gutting can't seem to accept that it makes sense to speak to a God that you don't believe exists, which is what Wettsteins seems to be saying that he does. No, of course the biblical Noah was not a Jew. There were no Jews in the world until much later. Abraham, the first Hebrew came ten generations after Noah. And Moses received divine revelation six generations after that. According to BBC News the new film "Noah" has been criticized by religious groups. Regarding the Jewish links to Noah (the film) Eric Goldman, my favorite film critic, wrote about the film's Jewish director Darren Aronofsky in the Jewish Standard, "Noah and the Jews." Here is some of what he says. ...Jewish tradition has a long history of encouraging interpretation of the “p’shat,” the literal text. Mr. Aronofsky and Mr. Handel have done so, drawing from a rich mix of rabbinic literature. In contrast, some Christian and Muslim scholars and clergy have had trouble with the film, because it changes the Noah story’s fixed literal reading. Because of this initial reaction, Paramount, the film’s distributor, has chosen to alter its advertising, now saying that the film was “inspired” by the Bible story. No David Koresh was not a Jew. He was the leader of the Branch Davidian Seventh-Day Adventists Christians who perished at Waco in 1993. New Yorker has a section title "ANNALS OF RELIGION" under which they published, Sacred and Profane: How not to negotiate with believers by MALCOLM GLADWELL. Gladwell tells us about Koresh, "David Koresh was born in Houston in 1959, to a fifteen-year-old single mother. He arrived at Mount Carmel at the age of twenty-two, pulling up to the retreat in a yellow Buick—another in the long line of disenchanted Seventh-Day Adventists in search of a purer church." Gladwell is a journalist known for works which I cite often, like "Blink" and "The Tipping Point." Wikipedia describes his writing thusly, "Gladwell's books and articles often deal with the unexpected implications of research in the social sciences and make frequent and extended use of academic work, particularly in the areas of sociology, psychology, and social psychology." In this New Yorker article he turns to the area of religion and finds an "unexpected implication" in an unfortunate event that occured April 19, 1993. That "implication" is that you cannot negotiate certain things with some believers. It is "unexpected" because neither the ATF/FBI nor the professors of religion involved in the affair at Waco understood that they were not going to be able to negotiate with the Branch Davidians. Gladwell convincingly argues that the standoff in Waco became a human tragedy because it was a fatally bungled attempt at negotiation. Is Jewish Studies too Jewish? What kind of a question is that? Is Jewish Studies in colleges and universities too Jewish? A very good one, it turns out when discussed by Aaron Hughes in the Chronicle for Higher Education. He says that Jewish Studies is too Jewish and he spells out his reasoning and his conclusion that, "Jewish studies, rather than liberating itself from its ideological heritage, has re-embraced it." Recent years have seen the creation of numerous well-funded and ideologically driven private organizations that seek to make inroads in Jewish studies. I refer, specifically, to the conservative Tikvah Fund, the secular Posen Foundation, and the pro-Israel Charles and Lynn Schusterman Foundation. These organizations seek entry into the academy—and presumably the intellectual legitimation that it provides—by establishing programs, professorships, and conferences in both Jewish studies and Israel studies at North American universities. The Tikvah Fund, for example, funds centers devoted to Jewish law (at New York University) and Jewish thought (at Princeton). It also created and subsidizes the Jewish Review of Books, in which scholars (some of whom are associated with other Tikvah programs) air personal grievances, review one another’s books, and trash those with whom they disagree. Tikvah even sponsors a book series, the Library of Jewish Ideas, at Princeton University Press, in which, as a colleague of mine remarked in a recent review, "faith-based sermons and empirically anchored scholarship" commingle uncomfortably. Like Tikvah more generally, the books in this series have no qualms about articulating authentic Jewish ideas and, especially in the inaugural book, these ideas not surprisingly tend to be constructed as religiously Orthodox and politically conservative. We should be ashamed that we have allowed foundations that push a particular vision of what Judaism is or should be to operate within the administrative structures of universities. None of these foundations, despite appeals to the contrary, are interested in funding scholarship simply for its own sake. The unfortunate result is that Jewish studies, rather than liberating itself from its ideological heritage, has re-embraced it. Mr. Kin, who in recent years moved to Las Vegas, has repeatedly insisted that Ms. Kin agree to binding arbitration from one particular religious court based in Monsey that is controversial and has been widely denounced by rabbinical authorities in the United States and Israel. Several leading rabbis, including the chief rabbinical office of Israel, have said they would not accept a divorce document signed by this particular court. Mr. Kin has said that the head of the beit din, Rabbi Tzvi Dov Abraham of Monsey, granted him dispensation to marry again. The notion that rabbis act within a legitimate system of law has always seemed to me to be a grand exaggeration at best. In the realm of rabbinic law, there is no transparent means of publishing decisions or appealing decisions. Facts are hard to come by and rumors rule. Often a rabbinic case works like this: you go to the local rabbi of your choice and he whispers his opinion in your ear. Then you go tell everyone what he said. Speaking of rumors, I stumbled on this blog (which when asked, a reporter first told me was Kin's former husband's blog and then he changed his mind and said he was not sure that is the case): THE PHONY AGUNAH: LONNA KIN RALBAG IS A PHONY AGUNAH. The post raises issues and makes me think - did Lonna Kin ever actually go to the court to receive her get? One begins to wonder if this case is a clash of two manipulators who no longer wish to live together. Something doesn't smell right. This instance is probably not going to turn out to be the best poster case for the issue of women's rights in Orthodox Judaism, once we hear all the allegations about these two people. Too bad - the cause of women's rights overall is a just one. And the Times brought us news of some wonderful New York Jews, They Kept a Lower East Side Lot Vacant for 47 Years: telling us, "Nearly four decades ago, a new assemblyman named Sheldon Silver and his young protégé escorted Edward I. Koch, then a mayoral candidate, through the Orthodox Jewish enclave on Manhattan’s Lower East Side where the two had both grown up. It was the first day of Rosh Hashana, 1977..." and going on to extol (?) the contributions of William E. Rapfogel to this neighborhood preservation effort. to recall, "Mr. Rapfogel, who led the Metropolitan Council on Jewish Poverty, was arrested last year and accused of looting the agency." I got a mailing today from the Met Council asking for a Passover donation. I'm gonna pass. You may want to shower thoroughly after reading that article. The Forward's critic Mark I. Pinsky asks, "Is 'Family Guy' Anti-Semitic?" Actually he doesn't ask at all. He informs us that there is not a shadow of a doubt that the show's creator Seth MacFarlane is anti-Semitic. Pinsky is terribly confused about the meaning of anti-Semitism. He is wrong to say of MacFarlane that it is "well past time to call him out" for being an anti-Semite. 'Family Guy' is a satirical TV cartoon. It is a brilliantly funny show. It mocks just about everything in our culture from family values to relationships to religions in general and in specific - all religions, all values, all relationships - without prejudice for one over another. We all know that stereotyping in jokes is not the highest form of humor. It's usually cheap and crass and obnoxious, it's bigoted, but it's not anti-Semitic to make a joke about Jews loving money. Real anti-Semitism is where you hate all Jews as part of your systematic world view or you discriminate against Jews by policy or laws. Seth MacFarlane does not do that. Mel Gibson does do that. Pinsky ends his article making the ridiculous claim that, "Seth MacFarlane, it seems, is simply a wittier version of Mel Gibson." Pinsky obviously did not pay attention to what Mel Gibson has done in his personal life and his career. Pinsky is all wrong when he equates tasteless cartoon jokes with Gibson's flat-out full-blown anti-Semitism. Here's the beginning of an awful ill-conceived opinion article that should never have been published, that is so bad it should be retracted and removed from the Internet. And I rarely say things like that. I mean it. My opinion, shared by many, is that Seth MacFarlane is a comic genius, and he is not anti-Semitic. 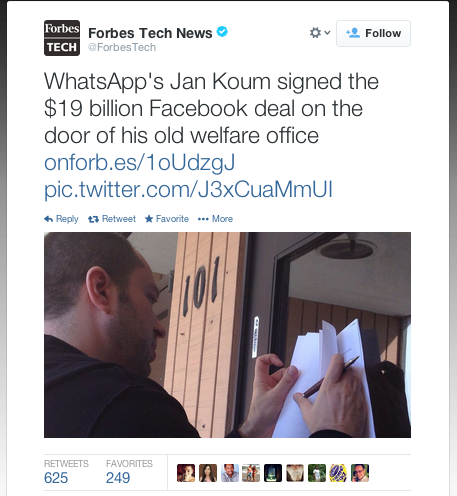 Is WhatsApp founder Jan Koum Jewish? Koum is Jewish and grew up in Fastiv, outside Kiev in Ukraine. He moved with his mother and grandmother to Mountain View, California in 1992, where a social support program helped the family to get a small two-bedroom apartment, at the age of 16. His father had intended to join the family later, but finally remained in Ukraine. At first Koum's mother worked as a babysitter, while he himself worked as a cleaner at a grocery. By the age of 18 he became interested in programming. He enrolled at San Jose State University and simultaneously worked at Ernst & Young as a security tester. When Jan Koum was growing up, he wasn't well off. His family was Ukranian and moved to Silicon Valley when he was a teenager, according to Forbes' Parmy Olson. They lived in a tiny, government subsidized apartment; Koum's mother babysat to bring in extra money while Koum worked at a local grocery store. Additionally, the family lived on food stamps. So, when it came time to sign a $19 billion acquisition deal, Koum knew where he wanted it to happen. Further, "Koum, who Forbes believes owns 45% of WhatsApp and thus is suddenly worth $6.8 billion." Allow me to express my Talmudic indignation over two misplaced Jewish protests by using a metaphor. Beautiful. Sutton knew just what he wanted, and just where to go to get it. That’s why he had a good shot at being a successful and notorious bank robber. By contrast I feel talmudically indignant that two groups of Jews have shown me lately that they know neither what they want, nor where they need to go to get it. Let me imagine I can put reporter-like questions to spokespersons in New York City for Haredi Jewish men and feminist Jewish women who recently held protest gatherings. Israeli Haredim gathered in synagogues today all over the world in support of universal Yeshiva conscription for all Israeli men. A Haredi rabbinic spokesman explained, "Study in Yeshivas protects Israel from all enemies, all attacks. Israeli men should be drafted into the Yeshivas, not into the useless IDF. The Israel Defense forces are redundant and not needed anymore." The Haredim were calling for the immediate abolition of the IDF. "Every secular Israeli man should be forced to study in Yeshivas. It's the only way Israel can achieve true security in the world," the Haredi spokesman continued. When asked how he could be so serious and certain that Yeshiva study will be an effective deterrent to Arab terror and aggression, he looked at the interviewer and said, "Are you kidding me? I'd never in a million years think seriously that sitting in front of a book can stop a tank or a terrorist. This is Purim brother, a happy holiday." One St. Patrick's day, when I was a little boy, I met Bobby Briscoe, the Jewish Lord Mayor of Dublin Ireland, at my father's synagogue in New York City on East 67th Street. I vividly remember his top hat and the big medal around his neck which swung out at me when he bent down to shake my hand. It was a grand day for the Jewish and the Irish! The New York Times wrote up the visit. A wonderful New York story of a previous innocent age. The Lord Mayor of Dublin devoted forty minutes yesterday morning to being plain Robert Briscoe and worshiping in the Orthodox Jewish faith of his ancestors. He prayed at a Sabbath of Remembrance and pre-Purim service at Congregation Zichron Ephraim, 163 East Sixty-seventh Street. With the prayer shawl he brought with him for the service around his shoulders, he received the Orthodox honor, aliyah - an invitation to the altar. Then he recited the traditional prayers in Hebrew before and after readings from the Torah. The aliyah was also extended to City Council President Abe Stark and Kings County District Attorney Edward S. Silver, who had of accompanied Mr. Briscoe to the synagogue. Because of a heavy schedule, Mr. Briscoe and his group did not stay for the entire service. Rabbi Zev Zahavy, spiritual leader of the congregation said that the Lord Mayor's presence at the services was "an inspiration to all Jews in America and throughout the world." In keeping with the Orthodox custom of not riding on Saturday, the Lord Mayor and his group walked from the Pierre Hotel, where he is staying, to the synagogue. In addition to Mr. Silver and Mr. Stark, Mr. Briscoe was escorted by two detectives of Jewish and Irish extraction, Ely Kerner and John O'Hagan. The Lord Mayor wore a cut-away coat, a black topper, a Kelly green tie with a golden harp embroidered in it. As he strode up Fifth Avenue to attend synagogue services. he passed a group of policemen awaiting their parade assignments and remarked: "Top o' the morning. It's a fine day." He paused to talk to a group of policewomen. Holding his prayer shawl, he told one young policewoman that, if she saw her commanding officer, "tell him I'm on my way to say my prayers." 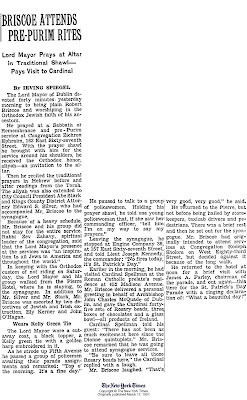 Leaving the synagogue, he stopped at Engine Company 39, at 157 East Sixty-seventh Street, and told Lieut Joseph Kennedy, the commander: "No fires today, it's St. Patrick's Day." Earlier in the morning, he had visited Cardinal Spellman at the Roman Catholic prelate's reidence at 452 Madison Avenue. Mr. Briscoe delivered a personal greeting in behalf of Archbishop John Charles McQuade of Dublin, and gave the Cardinal forty-five sets of Rosary beads, three boxes of chocolates and a glass bowl - all products of Ireland. Cardinal Spellman told his guest: "There has not been as much excitement here since the Dionne quintuplets." 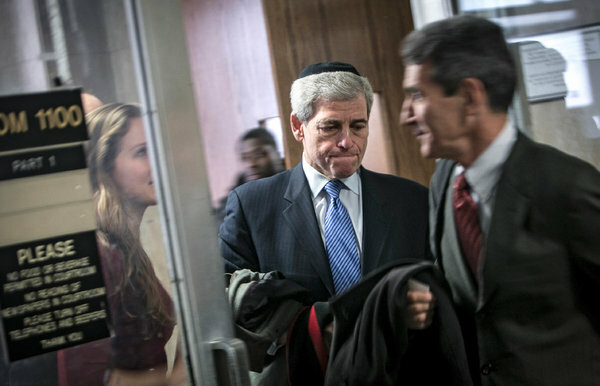 Mr. Briscoe remarked that he was going to attend synagogue services. "Be sure to leave all those Rosary beads here," the Cardinal replied with a laugh. Mr. Briscoe laughed. "That's very good, very good," he said. He returned to the Pierre, but not before being hailed by storekeepers, taxicab drivers and pedestrians. There was a brief rest and then he set out for the synagogue. Mr. Briscoe had originally intended to attend services at Congregation Rodeph Sholom on West Eighty-third Street but decided against it because of the long walk. He returned to the hotel at noon for a brief visit with James A. Farley, chairman of the parade, and out again - this time for the St. Patrick's Day Parade with a ringing delaration of: "What a beautiful day!" In a comedy skit: Lena Dunham appeared on SNL as a naked Biblical Eve. The tatoos are distracting. Link to Hulu. Here is the Jewish Press Post that got my old friend Yori Yanover fired this week. He's right. The JP is wrong. For the record, I believe the new Shaked-Lapid-Bennett draft law is by far worse than the one it came to replace, the Tal Law. Most importantly, because the Tal Law was getting results, without the idiotic, needless, divisive rancor generated by the new legislation. Killing the Tal Law, or, rather, issuing an edict that it had to be replaced by something that worked faster, was the parting poisonous gift of Chief Justice Dorit Beinisch, protégé of that beacon of light unto the nations, Chief Justice Aharon (evil genius) Barak. Since then we've seen one demonstration of a few hundred thousand Haredim against the new law in Jerusalem (but not a single day's work was lost! ), and yesterday, in downtown Manhattan, another 50 thousand Haredim marched to condemn the evil decree. “We’re all united against military service for religious men in Israel because it doesn’t allow for religious learning,” said Peggy Blier, an interior designer from Brooklyn. “The Israeli government is looking to destroy religious society and make the country into a secular melting pot." Every single point made by Peggy Blier is a blatant lie. Of course the law allows for religious learning, it merely suggests that at some point—way past the age non-Haredim serve, and for half the time that normal Israelis give freely of their lives—"religious Jews in Israel" should participate in caring for the security of their country, or, if that's too much, serve the equivalent time in vital organizations inside their own communities for their own neighbors. Is an eye for an eye kosher justice? The latin lex talionis means the law of retaliation. Some think this law is a core element of early biblical justice, familiarly expressed as, "an eye for an eye, a tooth for a tooth, an arm for an arm, a life for a life." I was teaching a Jewish Studies class a while back about how Talmudic law interprets virtually all retaliation in terms of monetary compensation. The Talmud provides methods to determine what is the value of the damages to an eye, the cost of pain, medical expenses, loss of income, suffering and humiliation. This is a qualitative advance over the previous forms of justice via the literal direct retaliation of an eye for an eye, I explained. Any questions? A student raised his hand. "How can you say the biblical idea is justice? It is barbaric to take out an eye. What kind of biblical morality was that?" I was caught off guard. "By the standards of our developed sense of civilization you are right," I replied tentatively. "But imagine, if you will, what came before the biblical reforms. I put out your eye, then you took vengeance on my entire family, and I in turn came to wipe out your whole tribe. In comparison, the biblical scales of justice are a great leap forward in civilization. And the Talmudic interpreters carry justice further forward. They say that money compensates for damages, not direct physical retaliation." My husband and I were thrilled to be invited for Shabbos dinner at the home of a lovely, warm couple. This couple, always gracious hosts, had also invited four other couples. As we gathered around the table, the host, a gentleman who learns daily asked the men if anyone wanted to make kiddush. All agreed that they would be “yotze” the mitzvah with the host’s kiddush and not recite their own. Wine was poured, and all stood waiting for the host to begin. Just a few words into the bracha, a man at the table interrupted the host, correcting his pronunciation. Graciously, the host accepted the correction and finished the blessing. The person who made the correction is known around town to be very learned. He wears a black hat, which he keeps on until after motzi. But I was really mortified to be sitting at the table where a host, or anyone, is embarrassed publicly. I said nothing at the table, but I do wonder if I should have said something and if it is halachically correct to correct/embarrass someone, even if it means a well-meaning bracha might be said with an incorrect pronunciation. How far should we go, or should we go at all, to embarrass or correct someone, even if we see it as upholding Torah? This disregard for a person’s feelings under the guise of Torah values really disturbed me. 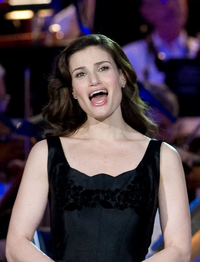 Is Idina Menzel Jewish? Is Adele Dazeem Jewish? Yes, Idina Menzel is a Jew. Yes, Adele Dazeem would be a Jew if she existed. That is the mangled name given to Idina Menzel by John Travolta at the Academy Awards in 2014. No, John Travolta is not a Jew. To get a mangled Travoltafied version of your name, go to this website. Mine came out "Theo Zamirez". I kinda like that name. Menzel was born in Queens, New York. Her mother, Helene, is a therapist, and her father, Stuart Mentzel, worked as a pajama salesman. She has a younger sister, Cara. Her family is Jewish; her grandparents emigrated from Russia and elsewhere in Eastern Europe. Her family lived in New Jersey (East Brunswick, Somerset and Marlboro) from when she was in kindergarten to third grade, but she considers herself raised in Syosset, New York. When Menzel was 15 years old, her parents divorced and she began working as a wedding and bar mitzvah singer, a job which she continued throughout her time at New York University's Tisch School of the Arts. Menzel herself, however didn't have a Bat Mitzvah after she quit Hebrew school as a girl. She earned a Bachelor of Fine Arts degree in Drama at New York University prior to being cast in Jonathan Larson's rock musical Rent. She changed the spelling of her surname to Menzel to better reflect the pronunciation the Mentzel family had adopted in America. She was friends with actor Adam Pascal before they worked together in Rent. I cannot properly evaluate the science behind this. All I can say is that this rings true to me. 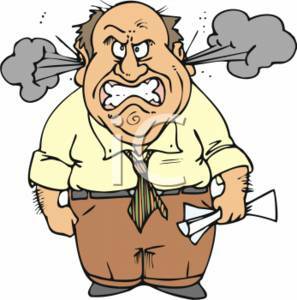 Serious anger in the range of rage changes your body in bad ways. The BBC article says, keep your stress low and try yoga. All good advice and try to follow it. It may save your life. Having a hot temper may increase your risk of having a heart attack or stroke, according to researchers. Rage often precedes an attack and may be the trigger, say the US researchers who trawled medical literature. People who have existing risk factors, such as a history of heart disease, are particularly susceptible, they told the European Heart Journal.